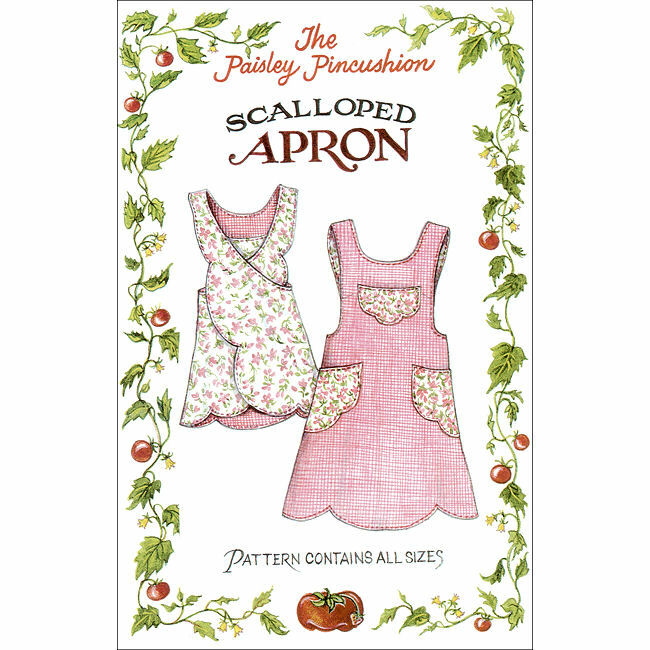 The Scalloped Apron Pattern is a reversible apron pattern from The Paisley Pincushion. The scalloped hem and pockets give this functional apron a feminine appeal. The back of the apron features a crossover design for added style. This vintage apron design is a sweet reminder of days gone by. Pattern includes the following sizes: Ladies (16-26), Ladies (8-14), Girls (6-14), and Childs (2-6). Includes full size pattern pieces.